The most anticipated iPhone 5 battery case of all has finally arrived. 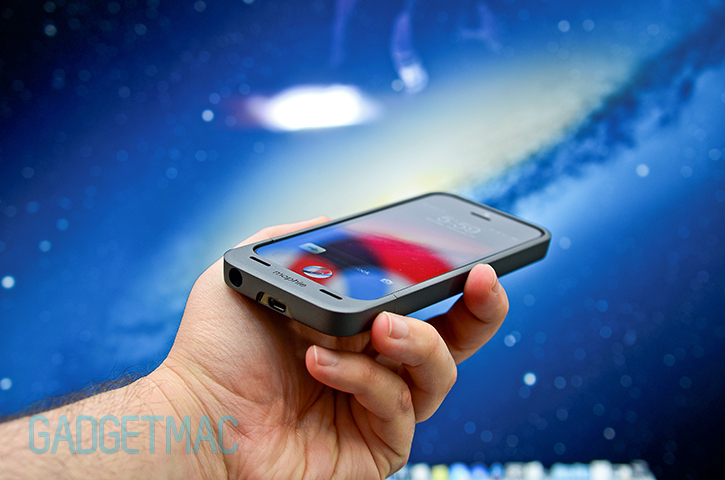 Mophie announced its first iPhone 5 battery case called the Juice Pack Helium. The Helium builds upon the tremendously successful Juice Pack series of iPhone battery cases with a familiar slim (0.59-inch thick), two-piece design featuring a matte metallic finish and a slick curved back. But what's more important is the built-in 1500mAh rechargeable battery which nearly doubles the battery life of the iPhone 5. Like previous versions, the Juice Pack Helium channels the iPhone 5's speaker audio towards the front for better and more direct audio using sound ports. It also has four white LED indicators to help you check up on its battery status and an on/off switch. The iPhone 5's Lightning connector is replaced by a micro-USB port which will let you charge both your iPhone 5 and the Juice Pack Helium simultaneously. Mophie's Juice Pack Helium will begin shipping on February 14, and is now available for pre-order in silver metallic and dark metallic flavors for $80.